Being comfortable and organised when travelling long distances regularly, always makes the journey easier to cope with. 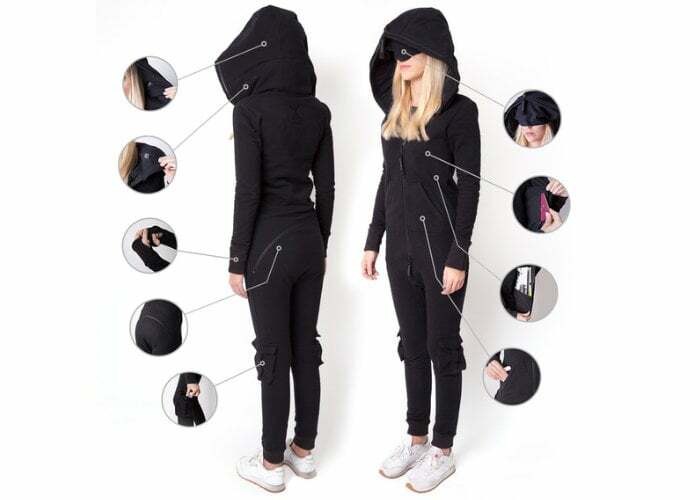 To help make your travelling that little bit more pleasurable Onepiece has designed an inflatable travel suit which features an inflatable hood neck pillow as well as plenty of pockets compartments and features to make travelling as easy and pain-free as possible. Watch the demonstration video below to learn more about the travel jumpsuit which is available via Kickstarter and has raised over $100,000 thanks to over 800 backers with still 11 days remaining on the campaign. Available to back from $129, early bird backers can benefit from a 52 percent saving off the recommended retail price and delivery sometime during March 2019 if all goes smoothly with production. For more details and a complete list of all available pledge options, features, stretch goals and sizes jump over to the campaign page by following the link below.